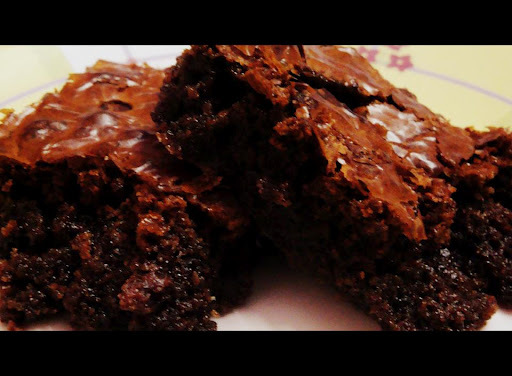 Ok now let me tell you how I made this yummy brownie! But I should confess that I never understood the difference between a cake and a brownie. All I did is just follow the recipe. Choco chips – How many ever you want. Melt butter, white chocolate and dark chocolate in the microwave oven. Add the coffee powder to it and stir it properly and keep it aside to cool it down. Beat the egg and sugar till it becomes like a cream. Add the vanilla extract to it. Add the chocolate mix to the egg mix. Add the flour and baking powder and mix it till there are no lumps of the flour. To the end add the pieces of 5 star bars to the mix. Honestly this does not make any big difference. Grease a baking pan and pour the above mixture and sprinkle choco chips on the top. Once taken out, you may want to cool it for sometime. I put in refrigerator and when I served the brownies next morning, I heated it in microwave for 30 seconds and….Dudeeeee…. It tasted sooooo YUMMMYYYYY!!!!! !